Below are links to various sources of information. Some are Lace Making Organisations others are local Council Sites which offer educational or other opportunities. We have strong links with The Lace Guild and have had representatives on both the Executive and sub-committees for many years. Visit the Lace Guild website. This is the International Bobbin and Needle Lace Organisation to which some NDL members also belong. The Guild of Needle Laces was founded by in 1983 by a group of the late Nenia Lovesey's students. Nenia, who came from a family of lace makers, was one of the few people responsible for the recent resurgence in various needle laces throughout the world. 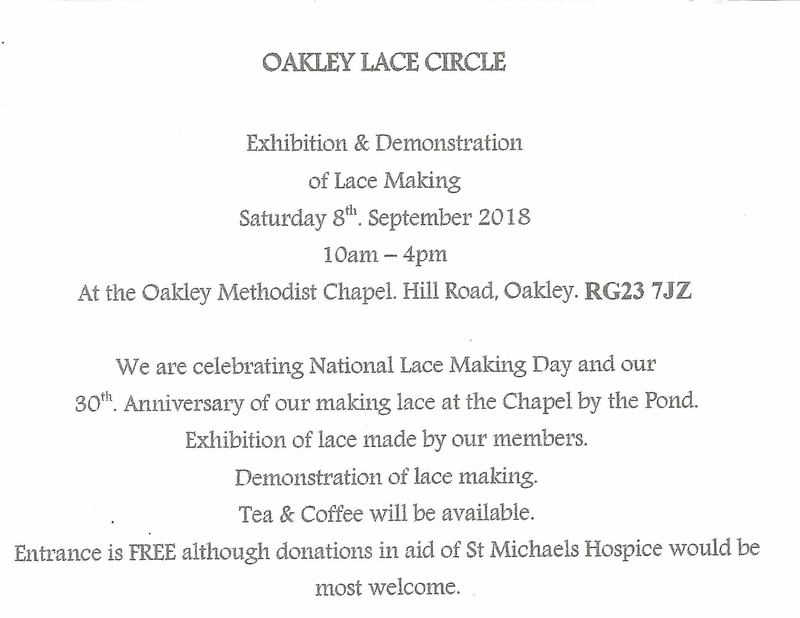 The Lace Society exists for the purpose of furthering interest in lace and lace making and accepts as members anyone interested in the making, collecting and teaching of lace, and lace artefacts of any type. This is a very large lace and lacemaking site. North Downs Lace Makers meet at the conjunction of three counties, Hampshire, Berkshire and Surrey. The following links lead to their respective websites. The Royal County of Berkshire was abolished in 1998, government being devolved to six unitary district authorities of which the nearest is the Reading Borough Council.